Today, Psyonix and Tespa announced that the first-ever live Collegiate Rocket League Championship will take place on December 8 in Arlington Texas. The championship will test the four best collegiate teams in North America as they compete for a share of $25,000 in scholarships. Independent video game developer and publisher, Psyonix, in partnership with Tespa, announced today the first-ever live Collegiate Rocket League (CRL) National Championship. 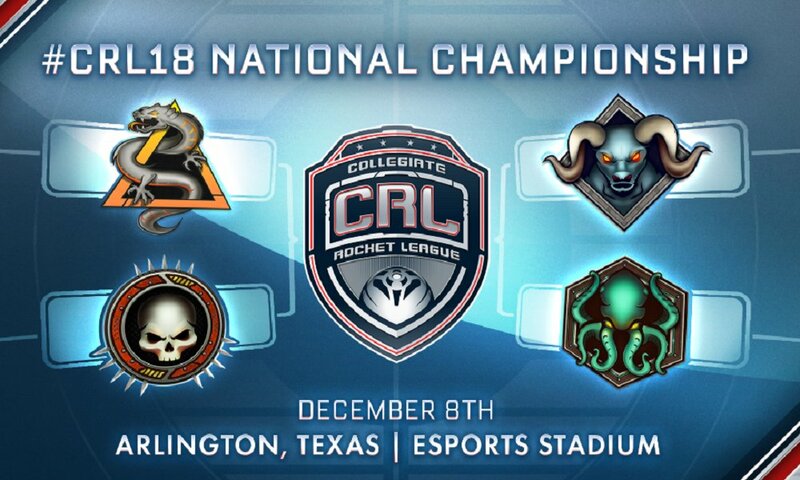 Taking place on December 8, 2018, at the Esports Stadium in Arlington, Texas, the CRL National Championship will see the four best collegiate teams from across North America compete for their share of a $25,000 USD scholarship prize pool. In addition to watching the competition on stage, attendees will also have the opportunity to play Rocket League in an onsite freeplay area and purchase event merchandise. Tickets will go on sale in the next few weeks with more information to follow. Collegiate Rocket League is in its second season and has had over 400 unique teams from 250 different schools compete this year. There are three more weeks of Conference Play on Monday and Tuesday beginning at 4:00 PM PT on Twitch to decide which teams will head to Texas for the National Championship. Check out our review of Rocket League, and stay tuned for more news here on Gaming Trend.